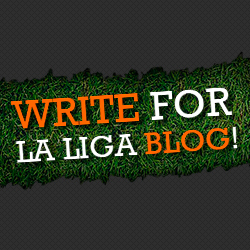 It has been a remarkably quiet transfer deadline day in La Liga. The deadline has just passed but news is coming through that West Bromwich Albion have signed Thievy from Espanyol. 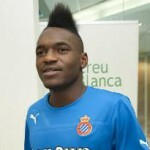 Thievy Bifouma is a 21 year old French forward who has spent his career at the Barcelona club and at Las Palmas. He hasn’t set the world alight yet, scoring 15 goals in 70 games over three years. He is known, if anything, more for his fluctuating hairstyles than his goalscoring prowess. Pepe Mel, however, was impressed by him whilst he was manager of Real Betis. He has taken the young striker on loan until the end of the season. With Nicolas Anelka looking at the prospect of a long ban, Thievy could get useful playing time under his belt in the English Premier League. It is understood that Mel sees a lot of untapped potential in the French under-21 forward, and that he will try to make the deal permanent at the end of the season. Thievy recently signed a contract extension with Espanyol until 2017, so his future remains uncertain.